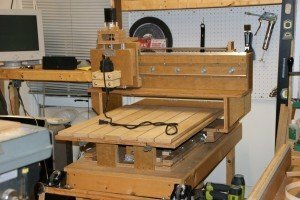 I have been building CNC routers for almost 6 years now, I have built 5 machines for myself, and helped a couple of people finish theirs. 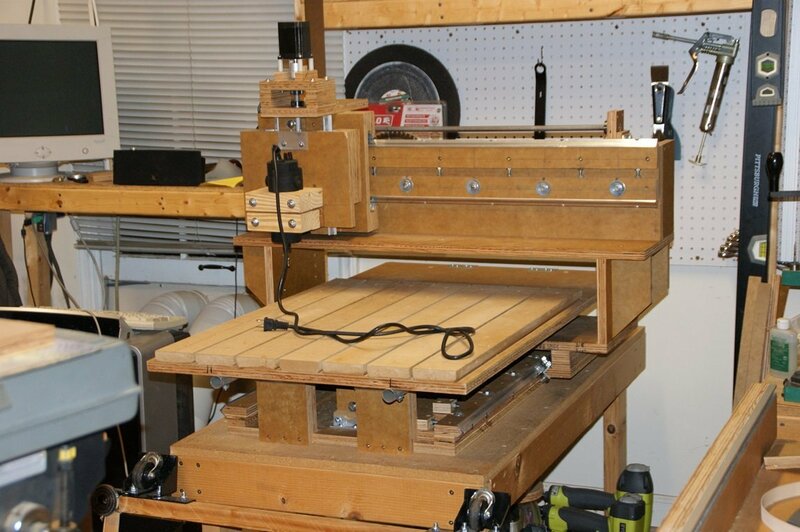 The results have been mixed, the Rockcliff machine was a good machine given my skill and budget at the time. The Black and Yellow Beast was interesting and worked fairly well, and the Son of the Beast 1×3 machine came out very well. The larger 2×4 Son of the Beast was OK, but the expected improvement over the Black and Yellow Beast was not as great as I had hoped and it was overly complicated. I started a large (4×8) Unistrut based machine that died before completion. 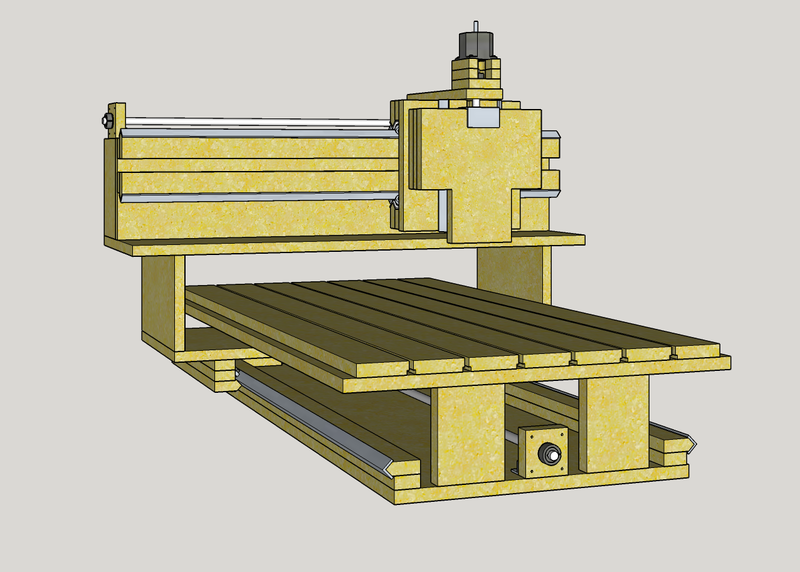 The next machine (unnamed) was an effort to simplify and resulted in a sturdy machine that is limited in cutting height and dust collection. 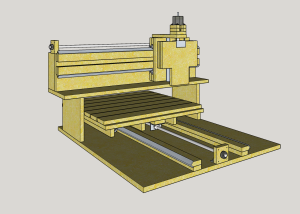 I have had fun (mostly) building these various machines and have spent enough to have built a really nice machine, so you would think I would give up and just buy something by now. Well apparently I still haven’t learned my lesson. 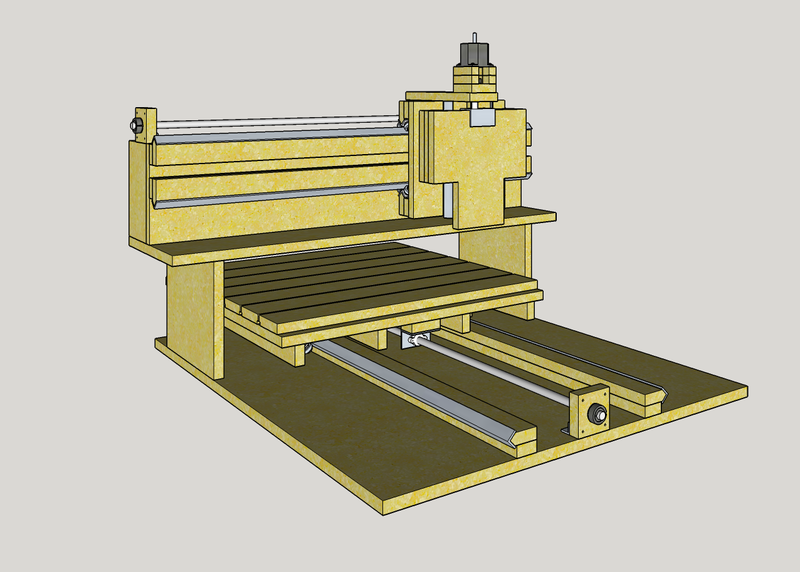 The whole reason I started my own design was to build the kit I would have like to have had, and even though we now have new shiny things to play with (3d Printers and CNC Frickin Lasers), I am still plunking away at building an easy to build, cheap cnc router. 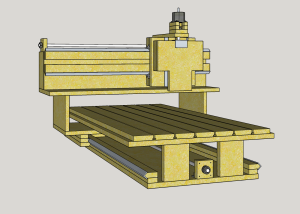 … So this post has been sitting as a draft for almost a year, in that year I have built a prototype of the Flying Gantry Design 1 and drawn up a combined set of plans for the Moving Table Design 1 and Flying Gantry Design 1 that I am going to try to release very soon. 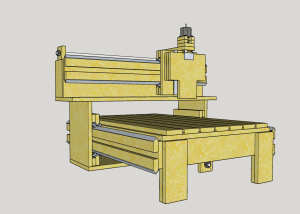 I did post sporadically to my Google+ Page, so if you are interested in a few build pictures you can find some there. 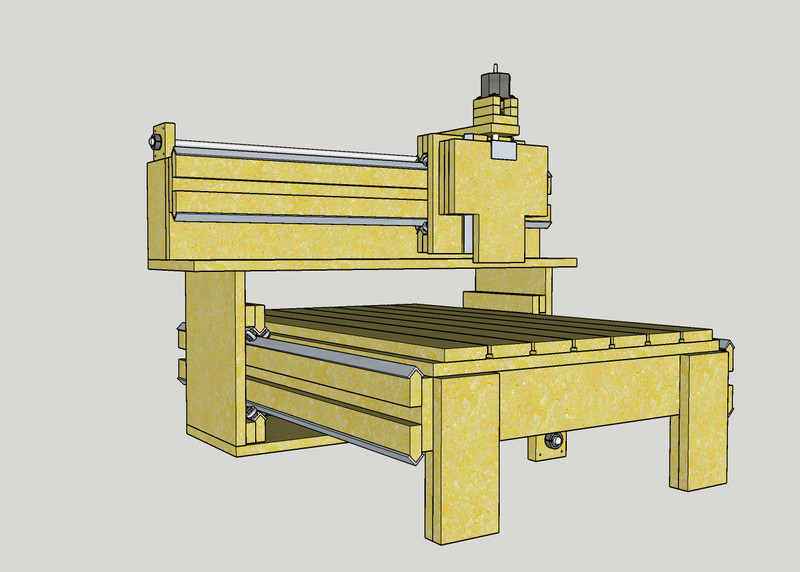 My short term goals are to post the plans, post a more detail build entry with more pictures and a cutting video, build the moving table version and document the process, and finally present the plans and the 2 machines at Maker Faire Atlanta. That’s a bit to accomplish in a short period, but historically August to October is my most productive garage time of the year, so here’s hoping. How did your prototype workout?